Everyone loved champorado as a child, so how about giving it a yummy and healthy twist? 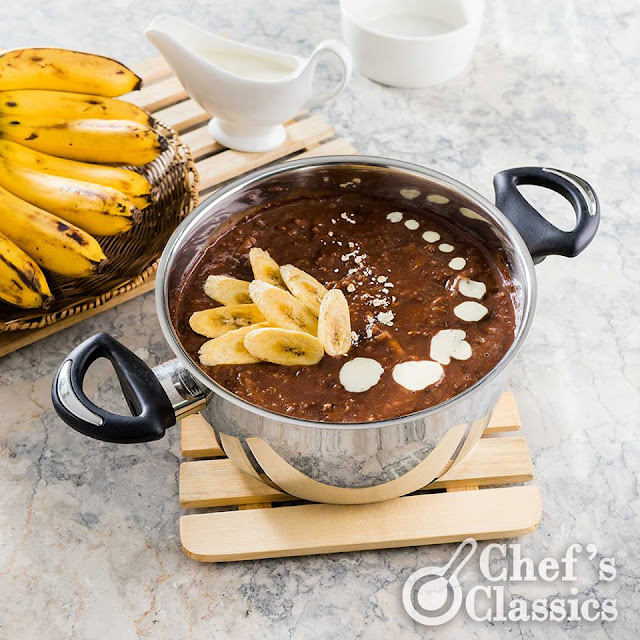 Try our Chocolate Banana Porridge. All you need are the following ingredients. This is still best served with tuyo or lots of milk! medium heat. Add in the rice, brown sugar and oats. 3. After 15 to 20 minutes, the rice is now cooked. Set the heat to low. 5. Drizzle or top it with evaporated milk and banana.